Home Betting What Is Betfair Trading All About? If you have heard of Betfair trading you might wonder whether it is something you can do. Can you make money from it? Do other people do this for a living and, if so, what does it involve? There are plenty of people who currently carry out Betfair trading. Not all of them make huge profits but some do. Certainly, if you are fed up losing money to the bookies this could be a useful alternative. Maybe it’s time for you to find out what it is all about then. The following is an introduction that will let you get to grips with this fascinating way of betting. Let’s start at the beginning. Betfair is the world’s biggest betting exchange. 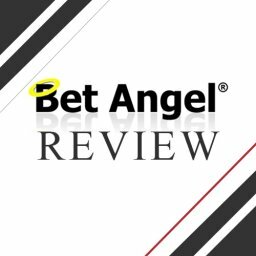 It is fair to say that it changed the betting scene when it was launched in 2000. This is because the site took an exciting new approach to betting. The idea behind Betfair is that it works like the stock market. However, the things being traded here are betting odds rather than shares. It sounds obvious now to look at betting in this way. But at the time it started, this was a huge leap from the traditional approach. Suddenly, punters could bet in more than one way. It wasn’t about accepting whatever odds the bookies wanted to offer. Now, they could back and lay odds without even speaking to a bookmaker. The different ways of betting are known as backing or laying. Traditionally, when you bet with a bookie you place a back bet. The bookies are, in essence, placing a lay bet when they take your money. With Betfair, anyone can take either side of the transaction. You are either backing something to happen or laying against something not happening. This is a fundamental change to how we all used to bet. Now, there is a huge amount of flexibility involved that never used to be there. The exchange brings together huge amounts of real-time information on different sports, to make betting easy. No matter what sport you are interested in, you will find it covered on here. You will also find other sports fans looking to place bets. Just as interesting as this, the prices are constantly on the move. These prices should also be more accurate than bookie’s price prices. This is because they are governed by market forces and don’t include bookmaker profits. Betfair takes 5% commission from winning bets, though. What does this mean for you? Well, Betfair prices are better than bookie prices most of the time. This is mainly due to there being no bookmaker margins added on top. The price you see is a lot closer to the true value of the bet. How Did Betfair Trading Begin? It isn’t an exaggeration to suggest that Betfair revolutionised the betting market. People from anywhere in the world could now bet against each other. The bookies didn’t like this but there was nothing they could do to stop it. Once this change happened, it didn’t take long for Betfair trading experts to appear. These are people who quickly worked out how to make money on the exchange. Many of them made huge amounts of money in the early days. While others were getting used to this way of betting, the experts made a killing. They saw early on how trading differs from traditional betting. So they adjusted their strategies accordingly. Meanwhile, others carried on betting in the way that they always did with the bookies. It is important to remember that trading on Betfair isn’t like betting with a bookie. For a start, the prices are nearly always better. Another big difference is that your account won’t get banned if you keep on winning. However, premium charges are levied on highly successful traders. 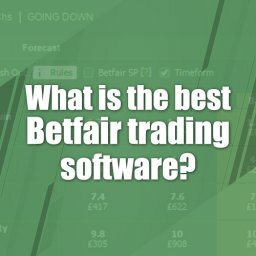 How Does Betfair Trading Work? This is something that looks pretty complicated at first. If you are used to betting with bookies you might wonder if it is worth the hassle. Stick with it, as it isn’t as difficult as it appears to be. The first step in the process is to make an opening bet. So, you would look to get a good price that you expect to move. This will give you room to manoeuvre and trade your position later on. Let’s look at an example trade I’ve placed. I placed a £26.80 on Material Girl at odds 19.58. I placed this back bet because I felt the horses odds were too high and would fall down closer to the race time. Checking back closer to the race time, Material Girls odds had fallen. I placed a £40.06 lay bet at odds of 13.0. This gave me an equal profit across all runners of £12.79 no matter what the final outcome. It is like stock market trading where you buy low and sell high. You are staying in control and looking to manoeuvre yourself into a no-lose situation. Is calculating the amount of stake needed for Betfair trading in each case going to be tricky? It might seem so at first. Yet, it isn’t going to be too difficult if you use the software we will look at later on. There is also a cash-out feature on Betfair that can help you work this out too. Is This a Way to Make a Lot of Money? The key question is how much money you can make from Betfair trading. Is it likely to be enough to make this a good second income? Or could it even be your main source of income? Maybe you dream of becoming a full-time Betfair trader eventually. One trader called Psychoff reportedly banks £50,000 per month! The truth is that the profit earned varies widely. You might earn a lot but then again you might not. 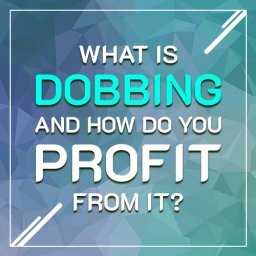 The factors to take into account include your initial bankroll and how quickly you learn the ropes. If you learn how to trade wisely you could make handsome profits. It is clear that not everyone makes a lot of cash in this way, though. In fact, there are people who don’t make anything from Betfair trading. Yet, others make a good living from this. It really does come down to how much you know and how smartly you operate. You will see some successful traders point out that it was easier to make big money in the early days. However, there are still people earning well from Betfair trading. What is true is that most people don’t make money by trading. Some people just play for fun while others take it far more seriously. There is no short-cut to big profits. But it can be done if you are patient and work hard at it. Bearing in mind what we have seen, how can you get started? The first step is to choose your sport. With so many sports and events covered, you might be tempted to try a few of them. Yet, it is far better to choose a specialist subject to focus on. It is even better to look deeper into the sport. Is there a certain aspect you should concentrate on? Don’t just trade on football. Instead, look at games from a certain country or league. In the same way, you could pick the horse racing flats or jump seasons. Try to find a niche where you feel comfortable. If you don’t do this, you could spread yourself too thinly. With so many sports and markets, you might hop from one to another. This is a bad move, as you won’t become an expert in anything like this. You then need to find a way of trading that works for you. This is the toughest part, as you need to become an expert on Betfair. This won’t happen overnight, so you will have to be patient. 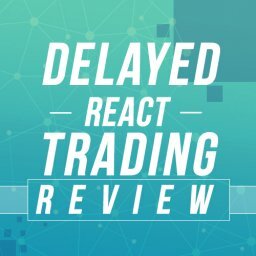 We will look at trading techniques and strategies in a minute. What about your starting bank? The good news is that this doesn’t have to be too big. You could start with around £200. With small bets each time, this should be enough to get you going. 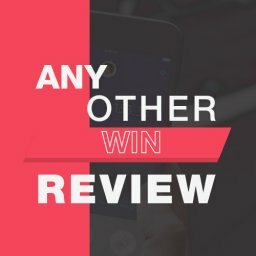 What Betfair Trading Techniques Can You Use? There are numerous different ways of trading using Betfair. The style used will vary from one trader to the next. However, the main technique used by everyone is to back high and lay low. What are the different ways of doing this? Scalping. You may have seen this term used in financial trading circles. It is all about taking advantage of small price changes. It is typically done in markets with relatively small price movements. They key to a good income lies in finding one or two ticks on a regular basis. 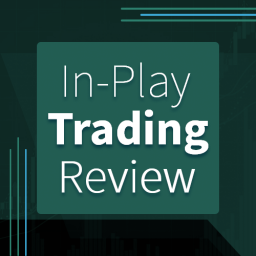 There is also pre-matching scalping and in-play scalping on certain markets to consider. Swinging Trading. The next technique is about cashing in on bigger trading price shifts. So it is pretty much the opposite of scalping. This is more suited to markets where the price moves about a lot. You need to work out your exit strategy in advance to do this well. Cross-market trading. This is a more advanced trading strategy. You are working across different markets here to create a situation where you can’t lose. This might mean the correct score and over/under football markets, for example. You can find better value in this way. But you might end up paying more commission. Trading on football team news. This is when you see a starting line-up that differs from what was expected. If it is stronger then there is more chance of the team winning. If it is weaker then the opposite is the case. You need to be quick to trade like this. Looking for team news and updates on Twitter can help a lot. Getting out at the right time is vital in any trade. This is why you need to be clear about your exit strategy from the start. You aren’t going to win your bets every time, of course. So you need to know when to cut your losses and when to keep going. Can You Use Trading Software and Systems to Help? There are systems out that are meant to help. These are typically called sports trading systems or something similar. They are meant to find loopholes and opportunities for you. Do they work, though? The big issue here is that the betting exchanges aren’t ideal for this kind of software. There are simply too many variables to take into account. This isn’t like matched betting either, where the right software finds you deals to take advantage of. Most traders will tell you that success comes from experience. You need to fully understand how the exchange works to make money. This is something that tends to only to come to users over time. So, trading systems tend to be of limited used to Betfair traders. 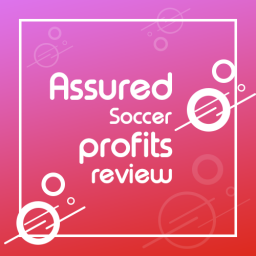 We have seen that sports trading systems often fall short. Does that mean that should avoid trading software altogether, though? It is fair to say that there is Betfair trading software that it is worth trying out. There are a number of good reasons for this. For example, you can use visual charts to help you understand the market more clearly. 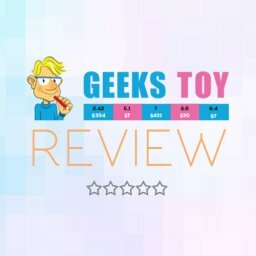 I’ve reviewed the Geeks Toy software & also Bet Angel. The right type of software will also update odds in real-time. This will give you a slight advantage over the Betfair site’s odds update times. You can also access one-click betting in multiple markets using software. It might not sound like much of a difference. But being able to spot changes in the odds and bet more quickly can be vital. This might allow you to grab the right opportunities more easily. What are the best trading systems? I’ve reviewed several trading systems on the blog already and plan to continue doing them. I’d recommend signing up with one of these systems to get started. You can shorten the learning experience by signing up for a system. It’s much quicker than trying to figure out everything yourself. 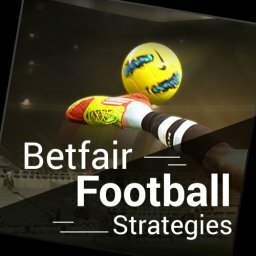 I’ve also written a free guide on the best football trading strategies that will give you some ideas. Ok, so now you know what Betfair trading is about and how to get started. How do you take the next step and become an expert at it? A big part of the secret is in gaining more experience. You could also join a trading community. This can mean using a forum or social media to get information from other traders. Of course, the difficult part is in knowing how to trust. You will want to start off gently and get a feel for the help you can find. Blogs, Facebook groups and YouTube tutorials can also help you get to grips with the subject. Another good idea is to analyse your own trades. You should start to see the things that you do well and not so well. This will help you to understand your own strengths and weaknesses. Another point to remember is that you need to follow the action closely. Many Betfair traders use two or more screens to keep track of what is happening. This is obviously exciting to do, but it does mean dedicating a fair amount of time to it. As you become more experienced, you will see how to use your time wisely. A lot will depend upon the market you focus on. Some of them will take up more of your time than others. 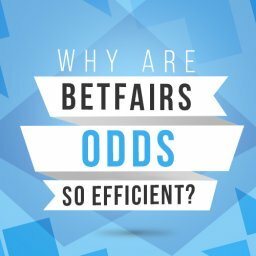 Is Betfair Trading a Type of Gambling? It is clear that this is regarded as a type of gambling by most people. Yet, it is far from the traditional approach of betting with a bookie. So, what is the big difference between the two things? Perhaps the simplest way to explain it is that in Betfair trading doesn’t open to you in straight gambling. You aren’t just throwing money at a hunch. Instead, you need to be smart about it. If a position goes against you, trade out for a small loss across all outcomes. You aren’t risking the full back stake as you do with traditional betting. You need to use the edge available to you. This means reducing the risk. A straight gamble is when you are at the mercy of a last-minute goal or a tired horse. Shock outcomes can ruin your bet in a number of ways. Betfair trading is different. Part of the key is in staying in control. You should use your trading strategies to avoid risks as much as possible. The possibilities opened by Betfair trading are hugely interesting. It isn’t right for everyone but it does give you a new way of making money to explore.